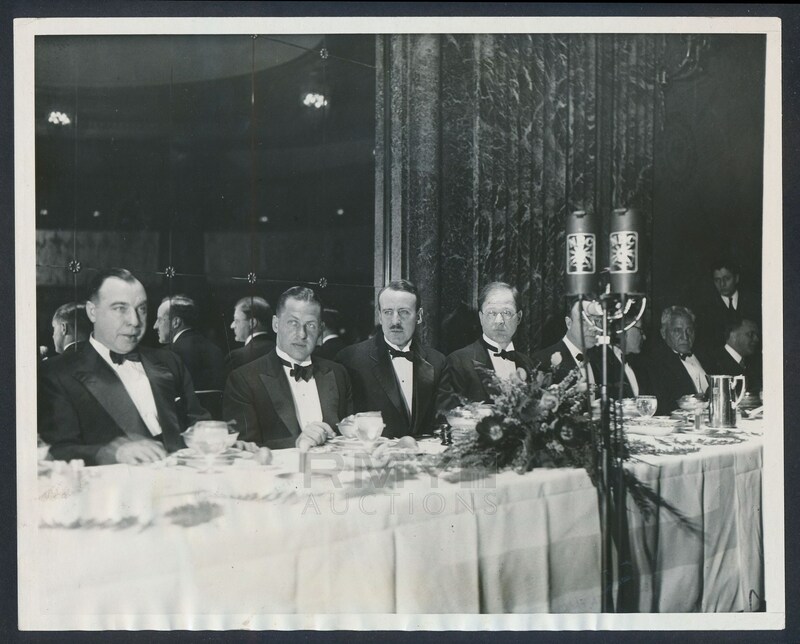 Lot # 14: 1931 Bobby Jones, "Black Tie Award Ceremony for Grand Slam Champion"
Early 1931 photograph taken a few months after Bobby Jones had completed the Grand Slam in Europe by winning all four major golf championships. Pictured here in black tie and surrounded by the rich and powerful, this is one of his finest images we have ever offered and it grades nearly perfect! 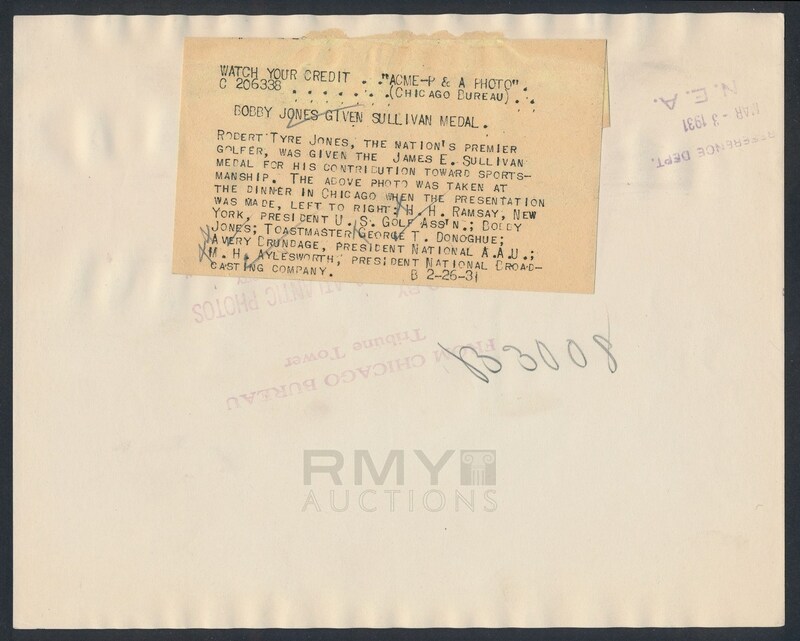 Issued by Pacific and Atlantic and stamped on the back with a full paper caption as well, this is being offered here for the first time ever!